The 17-year-old girl who escaped her parents' Perris, California, home where she and her brothers and sisters were allegedly held captive and tortured told a 911 operator about the horrors she experienced each day. 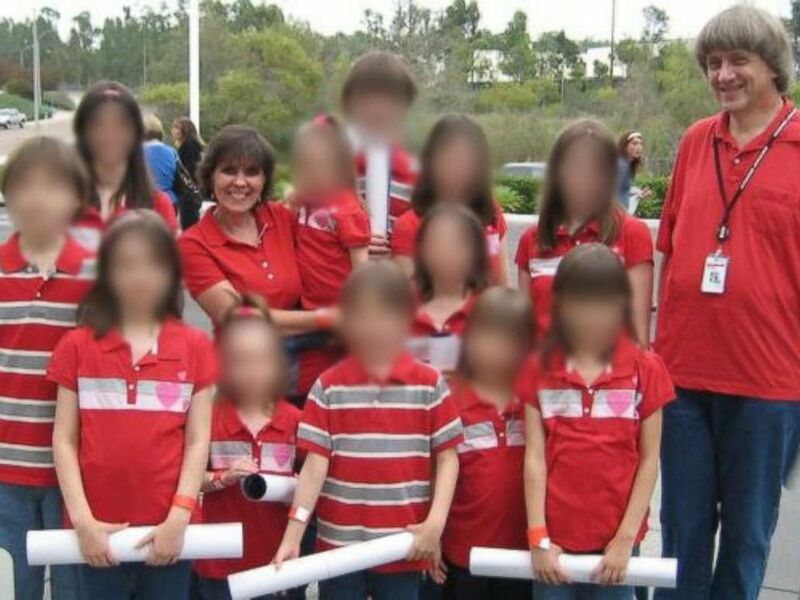 When the teen escaped the home through a window in January and called police, her parents, David and Louise Turpin, were arrested and accused of abusing 12 of their 13 children, including in some cases allegedly shackling them and beating them routinely, prosecutors said. 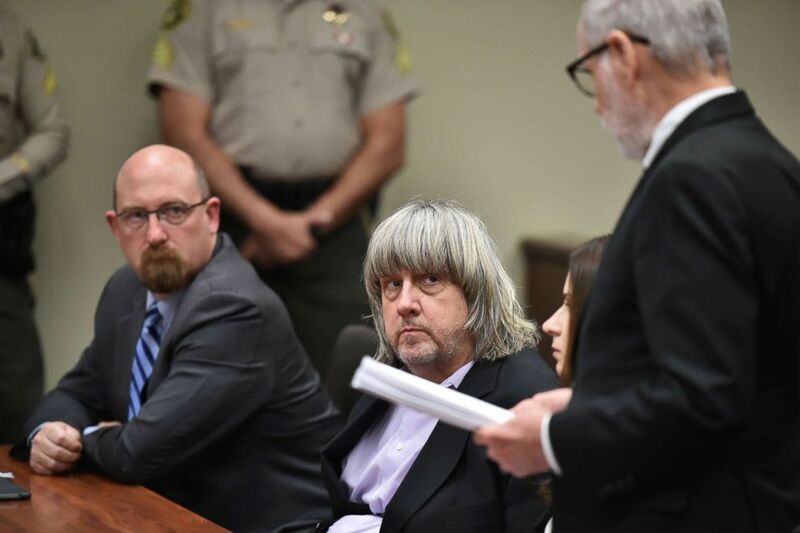 The 17-year-old's desperate 911 call from that January day was played in court Wednesday during testimony at a preliminary hearing for David and Louise Turpin. They face charges including torture and child abuse and pleaded not guilty to all charges. 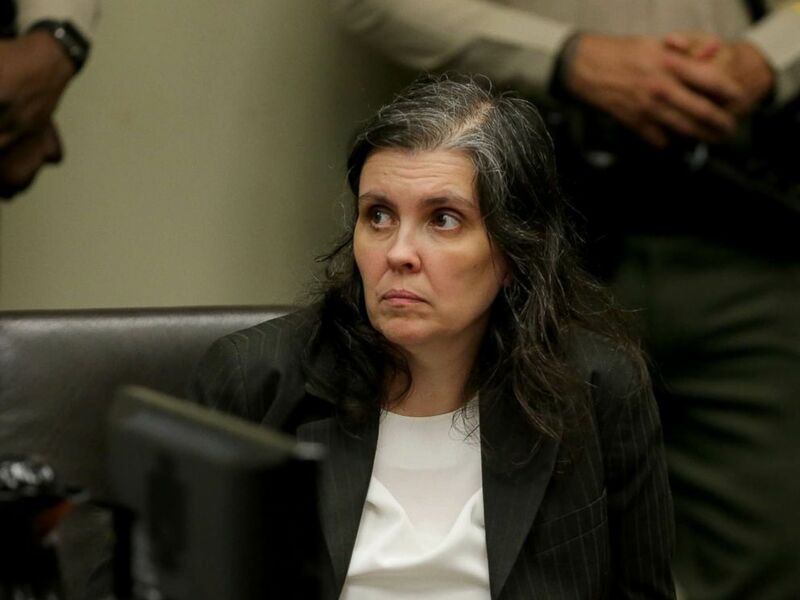 Louise Anna Turpin appears in court for arraignment with attorneys, Jan. 18, 2018, in Riverside, Calif. The teen -- whom ABC News is not identifying -- told the 911 operator her parents were abusive and that she and her siblings were chained up when they misbehaved. The 17-year-old alleged that she and her siblings would be chained up for one or two months and only freed to brush their teeth or use the bathroom, a law enforcement officer who interviewed the teen testified Wednesday. The teen said she and her siblings never ate breakfast and would only eat peanut butter, bologna, a frozen burrito or chips for lunch and dinner, the officer testified. The teen said she ate peanut butter sandwiches for up to five years and will now gag or vomit if she sees or smells peanut butter, the officer said. When found in January, all the children except for the youngest, a toddler, were severely malnourished, prosecutors said. The eldest victim -- a 29-year-old woman -- weighed only 82 pounds when rescued. The 17-year-old told the officer that the siblings were only treated better around Christmas, the officer testified. In her 911 call, the teen alleged that she and her siblings lived in filth and that she hadn't bathed in nearly a year. She had last seen a doctor in 2013 and had never been to a dentist in her life, according to the officer's testimony. In the teen's desperate call to 911, the teen alleged that when the family had lived in Texas, the siblings were left in the house alone for four years until their parents came back to pick them up. She told the 911 dispatcher the family had lived in Perris for two years and that they were about to move to Oklahoma. The 17-year-old had allegedly been planning her escape for two years. She had tried to call 911 before but had trouble because she was so scared she was shaking and could not dial the numbers, according to the officer's testimony. In the 911 call the teen told the dispatcher that she hadn't finished the first grade, adding that her mother would say they were home-schooled. The 17-year-old struggled to spell her last name for the operator. She also admitted in the 911 call that she didn't know what medication was. When she was interviewed by the officer, the teen said she did not know the month or the date, but knew the year was 2018, the officer testified. However, during cross-examination, the officer said the 17-year-old had access to social media accounts including YouTube, where videos were posted of her singing. The 17-year-old used the terminology "CPS" (Child Protective Services) when she was talking to police, the officer said during cross-examination. 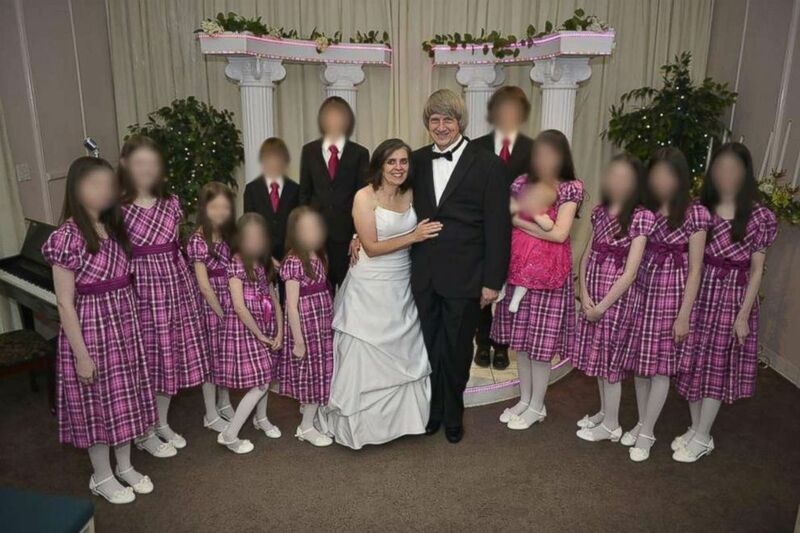 David and Louise Turpin have each been charged with multiple counts of torture, false imprisonment, abuse of a dependent adult and child abuse. David Turpin was also charged with one count of a lewd act on a child under the age of 14 and Louise Turpin was charged with felony assault. They pleaded not guilty to all charges.